If you live in the U.S., and especially in the Midwest, chances are that you are familiar with the concept of a Snow Day! As tradition goes, the night of a snowstorm young kids (and sometime adults) everywhere cling to the radio and TV….hoping to hear that school is canceled tomorrow and they get to stay home and play! Just such a day has happened here in the U.S. Here in Ames, Iowa the snow drifts are 3 feet high! This leads to the question…..if you really like muscle cars, and you’ve got an entire day at home to kill because there is (literally) a blizzard outside, what do you do? Easy – just search the internet and look at muscle cars for sale! 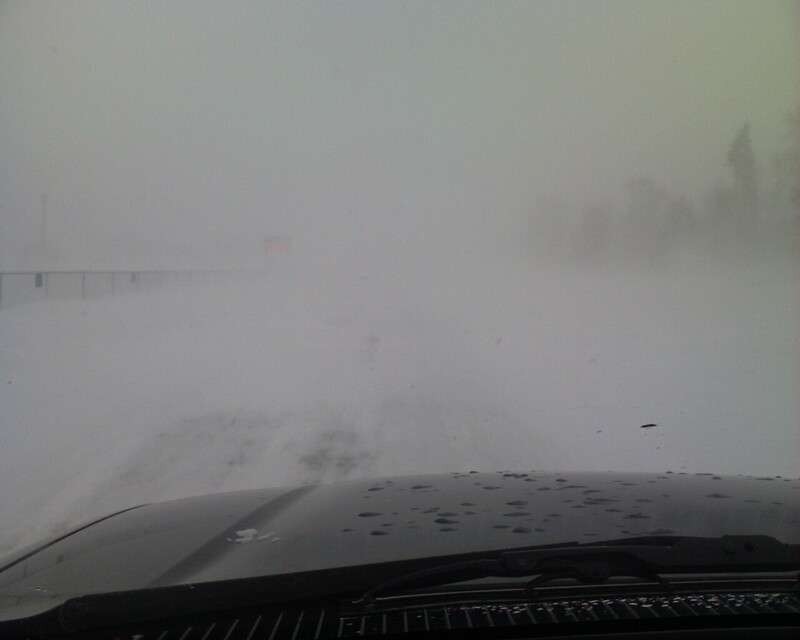 A picture from the drivers seat in Ames, IA during the Dec 2009 blizzard. Can you find the muscle car in here? Acutally, can you find the road? The MuscleCar Place exists to give people that love muscle cars the ability to find them in one nice and easy spot. We don’t mess around with anything else! It’s for people that love drive their old muscle cars by themselves….and don’t feel alone because they’re with their car. It’s for people that appreciate some of the finest and coolest iron Detroit ever put on the road and want a piece of history. It’s even for people that love the latest and greatest American muscle – everyone is included. I hope that didn’t sound like too much of a sales pitch – it wasn’t meant to be. Today’s bout of weather just helped emphasize something I wanted to share: muscle cars rock, and I want everyone that wants one the have one! p.s. The driver in me could not help heading out into the snow for some 4-wheel fun. I even took my son out for a ride earlier this week for his birthday. My trusty Tacoma was up to the task – the picture above was taken from it. I really love winter driving. Is there anything more fun than hanging the tail sideways for a city block?